Why is a law firm preferable to private investigation firms or external auditors? First, our investigations are protected by attorney-client privilege, which means we are legally obligated to keep the investigation confidential. Second, we will conduct our investigations with an eye toward criminal and civil litigation, ensuring that evidence is obtained in a way that is later admissible in court proceedings. Third, we can litigate the case on behalf of the client and will already possess comprehensive knowledge of the case. Fourth, and most important, the client controls the flow of information from the investigation, releasing what they believe appropriate, as compared with an investigation conducted by law enforcement, in which the client cedes all control. We maintain the strictest security measures with our business and private investigations clients. All our files are housed and backed up with 256 bit encryption that is all but unbreakable to hackers. Furthermore, we will not grant interviews to media, write books, or post any information about your investigation online. According to a recent study, small businesses lose approximately 5 percent of all gross revenue to employee theft and fraud. Worse yet, studies show that, given the opportunity, 20 percent of all employees are predisposed to stealing from their employers, but another 60 percent of all employees will steal given the right set of circumstances (drug addiction, depression, family medical bills, gambling debts, disgruntled former worker, etc.). Further, studies show that when fraud strikes, the average loss is $200,000. An amount that, left unchecked, could bankrupt many small businesses. Large businesses have internal controls and auditors to combat theft and fraud, but small businesses do not and are victimized at a substantially higher rate. Moreover, small businesses often rely on police and other government agencies, to their own detriment. As former employees of such agencies, we can attest that they are inundated with work and are often ill-equipped to handle complex financial investigations as theft and fraud. As such, small- and medium- size businesses have limited solutions to problems of employee theft and fraud. Some businesses rely on accountants; others will call in a private investigator; others contact a lawyer. This is not enough. We offer a comprehensive set of legal and security solutions to small- and medium-size businesses to combat theft and fraud. For each client, we provide several custom-tailored products. Our firm will conduct a comprehensive review of the client’s security and employment practices and then will recommend changes and help to implement the proposed changes and strategies to protect against theft and fraud as needed. The broad-range package includes HR, contract reviews, physical security, virtual security, and integrity reviews. We can conduct integrity checks and sting operations by deploying covert agents into the field to test security and personnel measures in your business. We offer testing of your virtual security measures with several of our partners in the private security industry. Finally, If you have been the victim of theft and fraud, we can deploy our assets and conduct a full investigation into the suspected fraud, root out that fraud, and use our legal background to prepare the case for criminal prosecution or a civil suit. 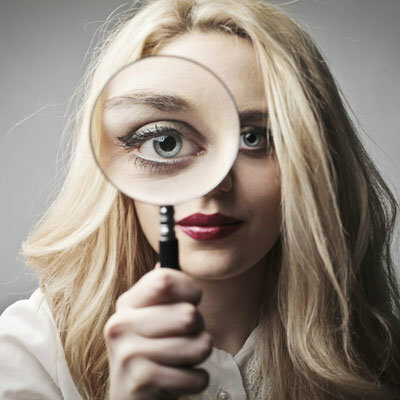 Contact ENLawyers for private investigation services for your business.